DCpages.com has been connecting users and businesses since 1994. 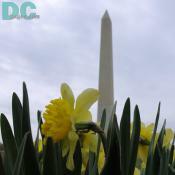 We are Metro DC's premier and original online directory. If you have forgotten your password, we can e-mail it to you. In 3 easy steps, reach more than a million users per month. Some of the world's most heavily used search engines rely on DCpages to provide quality local search results. Make sure your web site is not left out. Visit Add Your Listing to learn more. *Non- profit organizations click here to apply for a free listing. *Local Artists and Musicians click here to apply for a free listing.